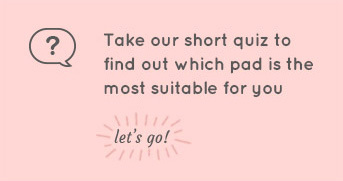 Developed and produced in Japan, our premium line of Ultra Gentle Napkins are dermatologically tested and proven to be gentle to delicate skin. Minimal Friction - Our unique wavy surface reduces skin contact which means more comfort and less irritations! 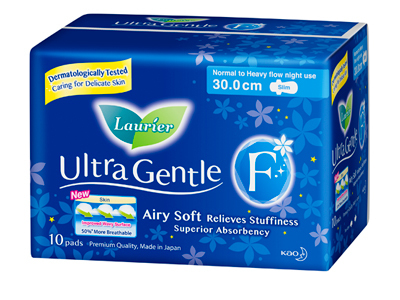 Extra Breathable - The unique surface also promotes airflow relieving stuffiness, moisture and itchiness. 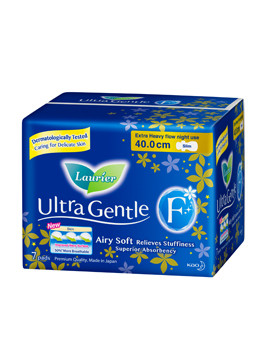 Quick Lock & Dry - Super absorbent layer that lock in fluids quickly means a drier and sticky free surface.